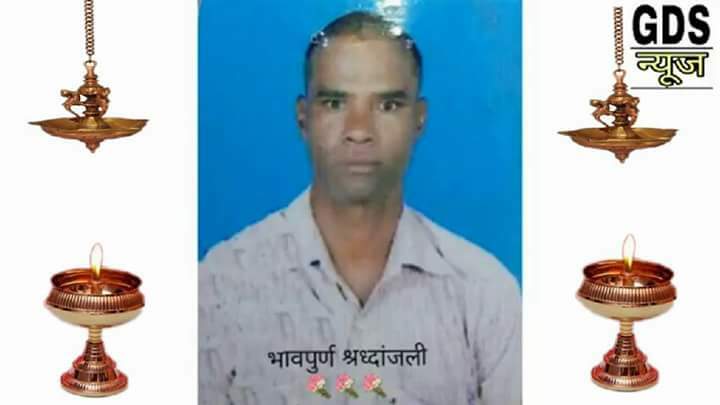 NATIONAL UNION OF GRAMEENA DAK SEWAKS AP-CIRCLE: Deep Condolences to Sri.Laxman Yashwanth ( late ) , GDS BPM , Kundal madhye B.O , Maharaashtra Circle. 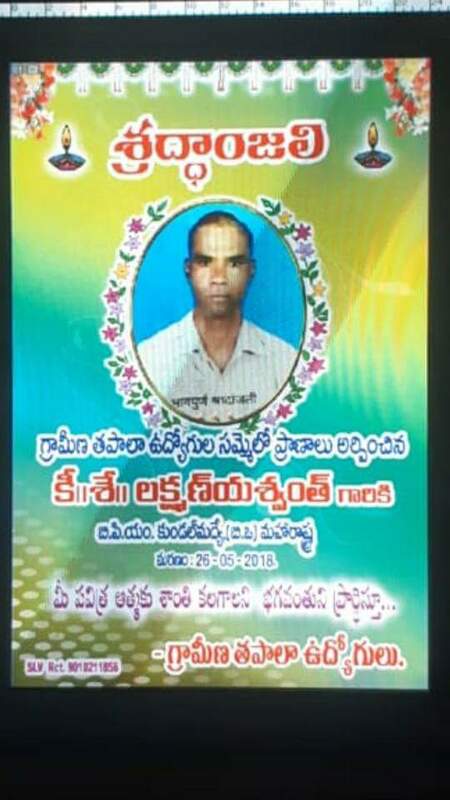 Deep Condolences to Sri.Laxman Yashwanth ( late ) , GDS BPM , Kundal madhye B.O , Maharaashtra Circle. Suicide committed by Sri.Laxman Yashwanth ( late ) , GDS BPM , Kundal madhye B.O , Maharaashtra Circle regarding non implementation of GDS Pay Committee Report which was submitted by Sri.Kamalesh Chandra on 24 November 2016. 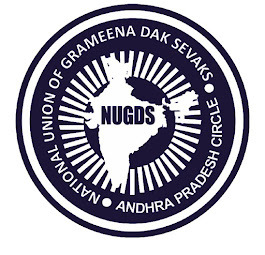 In this regard NUGDS convey our deep condolences. We humbly request all the GDS accross the Country not to do such type of things. Before taking such type of decision , please think about your family who are solely dependent on you. We will fight for you and you and you.